is a vibrant Department that offers excellent facilities and high standards, in both teaching and research. 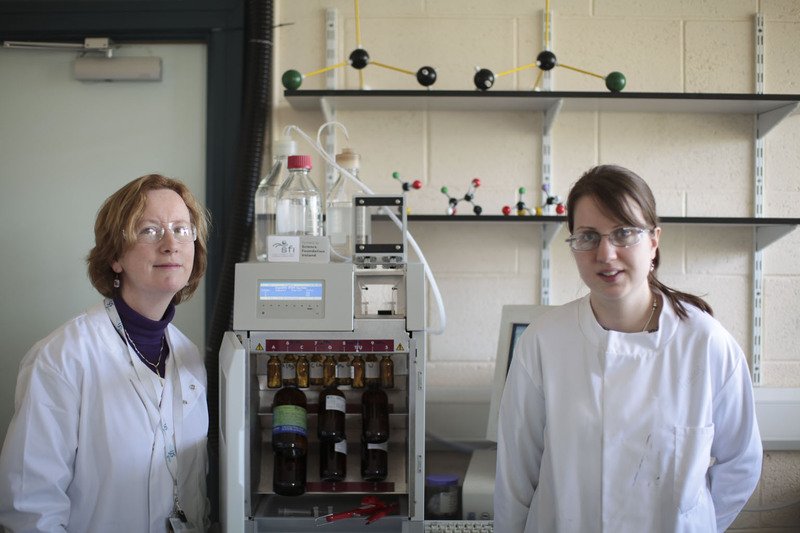 The Department of Chemistry at Maynooth University is a research-led and student focussed department, with research and teaching expertise in Organic, Inorganic, Physical, Analytical and Computational Chemistry. 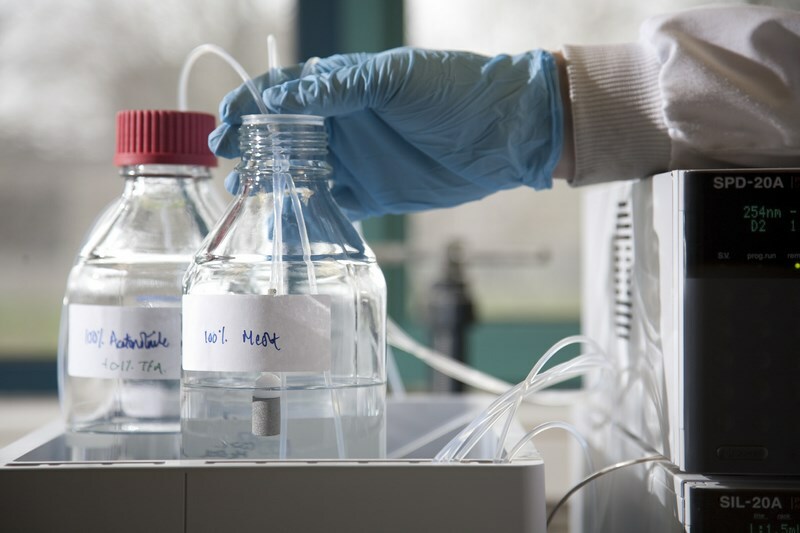 Our researchers are addressing important and complex problems at the interface of chemistry with biology, material science, biotechnology and nanoscience and this is reflected in the range modules that we offer in our degree programmes. 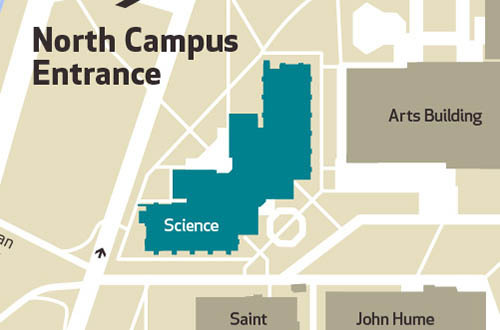 The department has a welcoming and collaborative atmosphere where students can study for B.Sc. degrees in either Chemistry or Pharmaceutical and Biomedical Chemistry in addition to postgraduate research degrees at M.Sc and Ph.D. level. Tá Roinn na Ceimice in Ollscoil Mhá Nuad tiomanta don taighde agus do thaithí an mhic léinn, agus taithí taighde agus teagaisc ag an bhfoireann sa Cheimic Orgánach, Neamhorgánach, Fisiceach, Anailíseach agus Ríomhaireachtúil. Tá ár gcuid taighdeoirí ag dul i ngleic le ceisteanna tábhachtacha coimpléascacha ar an teorainn idir an cheimic agus an bhitheolaíocht, eolaíocht na n-ábhar, an bhith-theicneolaíocht agus an naineolaíocht, rud atá léirithe sa réimse modúl a chuirimid ar fáil inár gcéimeanna. Is roinn fháilteach í a chuireann an chomhobair chun cinn, áit gur féidir le mic léinn tabhairt faoi chéim B.Sc. sa Cheimic féin nó sa Cheimic Chógaisíochta agus Bhithleighis mar aon le hiarchéimeanna taighde ag leibhéal M.Sc. mó Ph.D.
Dr Frances Heaney leads research in ​synthesis, characterisation and exploration of the properties of functional calixarenes and photoresponsive azobenzene-biomolecular conjugates. The department promotes an ethos of support and expectation with regard to research and the department is one of the principal centres for research in Ireland.